Welcome to Dan Patch Stables, located at the entrance of The Grand Geneva Resort and Spa in Lake Geneva, Wisconsin. We pride ourselves in offering year-round fun for the entire family. 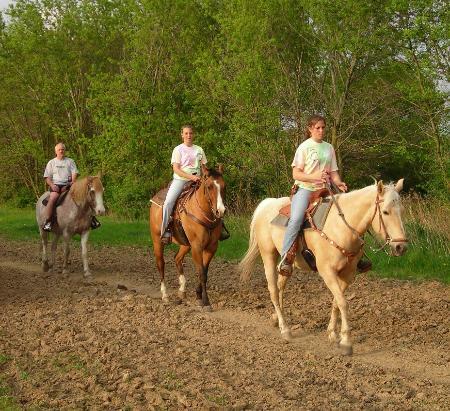 Pony rides and our petting farm are also part of our daily fun at Dan Patch Stables. The kids will love the hands-on time feeding and petting our furry friends! We have Gift Certificates for all your gift giving. It's ALWAYS Trail Ride season! Call now for a reservation!